Are You Considering A Photo Booth For Your Prom? Few events in high school end up being as memorable as prom. While memories are great, the right types of pictures can really preserve a moment in time in that special way. People have been posing for formal and candid photos for decades at proms, but photo booths are becoming more and more common around the country. 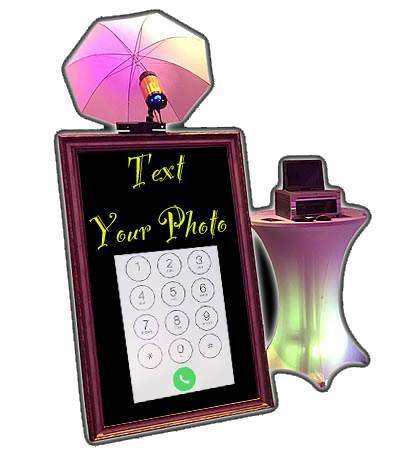 A mirror photo booth for prom in particular is one of the easiest and most popular ways to get fun shots throughout the special night. Older style photo booths have been around for a while, but our Magic Mirror photo booths provide some new features that really get people excited. Not only do they offer new features, but they just appear more modern, interactive and fun when set up. It could look like it is a little intimidating to use at first, but mirror photo booths do a great job at being user friendly, despite offering so many different features. Perhaps the biggest, yet most practical, feature that is a must in today’s world is that multiple pictures can be taken, and users can select which one they like best. The instant retake option is an absolute must, and it takes seconds. With kids constantly taking multiple shots to get the right look for social media, just a single shot from an older photo booth is not going to cut it any longer. Voice animation and prompts also make the entire mirror photo booth experience very interactive. The mirror actually “speaks” to those nearby, making it easy to use since a lot of people will likely have no experience using the device. The design of the mirror photo booth is to be as hands free as possible, which is particularly great for group shots at prom. No one wants to be stuck as the person behind the camera or awkwardly holding one. The mirror photo booth is actually one of the best photo takers out there, since it is patient, willing to take multiple pictures and has a bright LED ring for everyone to look at. There is nothing worse than getting a group shot that is close to perfect, but maybe a few are not looking at the camera. There is simply no way to really miss the camera lens on a mirror photo booth. More advanced features include a multi layout selection and a screaming contest feature. These two features can be considered more as add-ons that many will enjoy experimenting with at pro. The multi layout selection allows for up to three photos to be taken to use with a custom overlay specially for prom. This can be set up beforehand by those in charge of prom, or left up to attendees. The screaming contest is interactive and fun, as long as no one cares about some noise. Screaming can result in some pretty funny faces, and that feature is always a hit at any type of party. Finally, a mirror photo booth is perfectly capable of taking a simple picture, but it allows for some customization as well after the fact. A person can use the signing and stamping feature to add their own personal touch to the picture in the end. One of the more popular things many at prom are doing is personally signing photos for friends and classmates. This tradition in some ways is replacing the older tradition of signing yearbooks at the end of the year. Just about every prom ends up having some type of photo booth these days, but a Magic Mirror photo booth can change the way people think. Instead of all cramming into a small area, having limited features and maybe getting one halfway decent shot, mirror photo booths are geared specifically to the new generation.